Or, rather, a bad collection of games, as the NES cartridge of Bible Adventures includes three titles: Baby Moses, David and Goliath, and Noah’s Ark. This trilogy of biblically-inspired games by Wisdom Tree are known by so many only thanks to The Angry Video Game Nerd rather than having actually played them. At least, it’s definitely that way for me – though eventually I gave Noah’s Ark a spin. The author had actually played them as a child, and shares brief snippets of his youth to tie the narrative together. This autobiographical trend is one of the hallmarks of Boss Fight Books and is definitely a smart way to approach Bible Adventures in particular. The link doesn’t feel tenuous, which it easily could have. 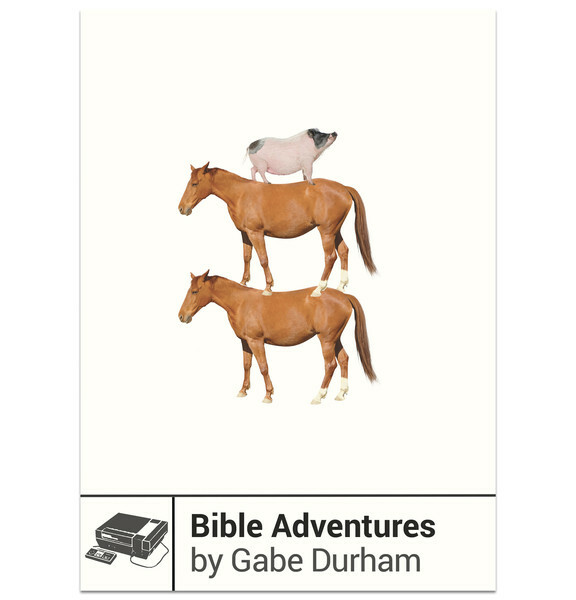 While the book is called Bible Adventures there’s also more to the story than just discussing that game’s mechanics, marketing, and development. Durham digs in with the developer’s history – and it’s more interesting than it has any right to be. I had no clue developer Color Dreams were behind the Wisdom Tree label and that so many of these religious games were simply reskinned versions of their older titles. Of course, the biggest surprise is that anyone would create a Christian game company without necessarily actually caring about bringing Christian-approved games to home consoles. This shrewd business move aside, it’s interesting to see how some of the original developers feel today about their time working for Color Dreams/Wisdom Tree and their current thoughts on faith. With that said, I’m of two minds about the Bible Adventures book sourcing its quotes so heavily from existing interviews. On one hand, everything is presented in a very readable, organized fashion. Had the book not come out I’d never have dug up these interviews otherwise. Then again, it feels a bit more like a thesis full of other people’s efforts that are then used to back up a new presentation. If you’ve already dug through every single Bible Adventures bit of information online then this book probably won’t be of much service to you, basically. Of course, how many people are out there like that? Presumably Durham became one in the process of writing his book, but it’s likely a miniscule club of individuals. Most gamers out there are a curious bunch and would probably find Bible Adventures as intriguing a read as I did. At 168 pages I almost wish it went a little longer, but all told it’s a compelling look at a video game company which made it to the forefront of religious video games. Be sure to check out our reviews of the other Boss Fight Books publications right here. Previous articleWhat Kickstarter Video Game Campaigns Launched March 22 – 28?